The Toyota Prado is the best-selling vehicle in Georgia so far in 2018. This is our third update on Georgia – the Central Asian country, not the U.S. State, a market exclusive to BSCB. Over the 2nd Quarter of 2018, 902 new vehicles found a new home in Georgia, lifting the year-to-date volume to 1.670. 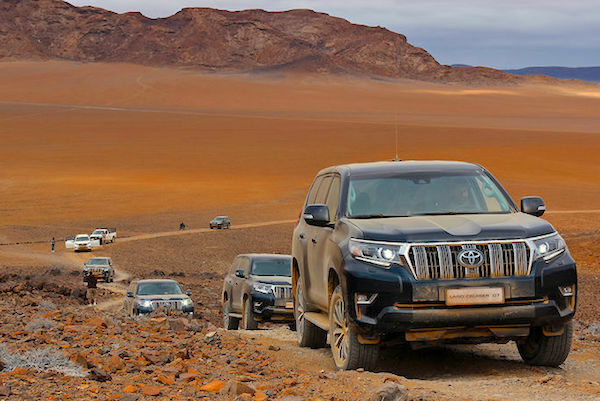 Toyota remains ultra-dominant but sees its share thaw from 44.8% in Q1 to 37.7% in Q2, resulting in a YTD 40.7% level. Down to #3 and 7.6% in Q1, Hyundai rallies back up to 2nd place with a staggering 18.4% share pushing its YTD level to 13.4% vs. 7.6% over the Full Year 2017. Mercedes climbs up one spot to #4, Kia is up two to #5 and Renault up three to #5. Chinese manufacturer Foton surges from #25 in Q1 to #6 in Q2 with 3.3% share resulting in a 11th place YTD. Lada (#7), Mitsubishi (#8) and Nissan (#11) are also markedly up whereas in the naughty corner we have Fiat (#9) and most strikingly Ford (#14) down from #2 in Q1 and including a 15 unit-correction on the Tourneo Courier. 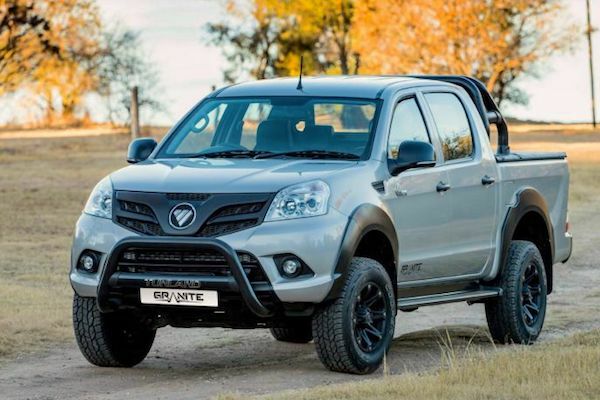 The Foton Tunland is up to #6 in H1 just as a facelift is unveiled in China. Over in the models ranking, after a freak pole position by the Ford Tourneo Courier in Q1 (see above), Toyota logically reclaims the podium to itself. The new Camry takes the lead in Q2 with an impressive 11.2% share, five sales above the Toyota Prado at 10.6% with the RAV4 rounding up the podium at 5.9%. Year-to-date, the Prado snaps the top spot at 8.9% share vs. 8.1% for the Camry. Excellent performance of the Hyundai Ioniq up to #4 and 5.2% share over Q1, with Hyundai also placing the Tucson at #5 and the Creta at #8. The Foton Tunland soars up to a fantastic 6th place, the Mitsubishi L200 is up to #9, the Lada Niva up to #10 and the Nissan Kicks up to #18. Full Q2 and H1 2018 Top 35 All-brands and Top 145 All-models below.